Personal confidence can do positive things for your health and well-being, which correlates to the heightened interest in cosmetic dental procedures. 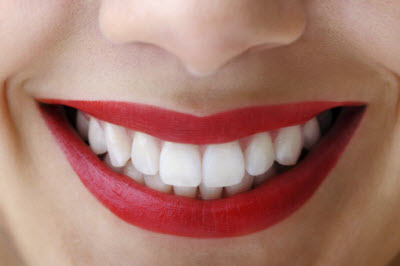 Cosmetic dentistry aims to improve a patient’s smile by correcting common flaws on teeth. At Lakeside Family Dentistry, our team of skilled professionals combines personalized care with an artistic eye to provide patients with the results they desire. Ensuring our patients are comfortable with treatment is our primary concern. Our personable approach to cosmetic dentistry puts patients at ease, as they describe the aspects of their smile they find most distracting. Our team goes above and beyond to hear each patient’s concerns heard and explain treatment in a way they understand. Most dental patients who seek cosmetic treatment have similar concerns, many of which are a result of older dental standards which are no longer appealing. Over the past few decades, advancements in technology and materials have changed dentists’ approach to restoration and general care practice. Of the most common, amalgam fillings and prosthetics with a metal foundation are not ideal for aesthetic outcomes. We can remove amalgam fillings and replace them with a tooth-colored composite material that provides strength and improves the luminosity of a treated, restoring the smile’s natural appearance. With advancements in the materials used for crowns, patients can also have older, porcelain fused to metal restorations replaced with solid porcelain or zirconia. These materials mimic the appearance of natural enamel and are ideal for patients fed up with the greying appearance of old, metal-based restorations. For patients wanting to make dramatic improvements to the shade of their teeth, we offer teeth whitening treatment options. With both in-office and take-home products, patients can achieve their desired appearances with the method that is most comfortable for them. We are also experienced in placing porcelain veneers for patients seeking a more vivid cosmetic improvement. Over a series of several appointments, our talented team consults with you on your desired improvements and creates a treatment plan that gives you more confidence in your smile. Lakeside Family Dentistry is happy to provide a consultative approach to cosmetic dentistry. We want you to feel comfortable with every step of your treatment, which is why we offer a personalized cosmetic dentistry in Windermere, FL. Contact our office to learn about cosmetic enhancements that can correct chipped, cracked, decayed, or deeply stained teeth.